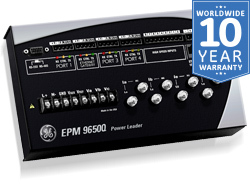 The EPM 9650 is GE's most advanced 9000 series meter with advanced power quality capability and waveform recording functions. The unit utilizes ACCU-Measure® Technology to provide highly accurate revenue grade readings coupled with advanced data analysis. The unit measures over 15,000 electrical parameters including real time harmonics to the 128th order, voltage surges and sags, waveform recordings, transients and a large assortment of advanced monitoring functionality. The unit also provides advanced expandable I/O with up to 256 points for control, data acquisition and alarms functions. This meter is ideally suited for critical power applications, common couplings with Utilities, load or process control and most other power monitoring applications. EPM 9650 captures up to 512 samples per cycle for an event. Voltage and current are recorded with pre-and-post-event analysis. Hardware and software triggers are available to activate a waveform reading, which can be used for power quality surveys, fault analysis, breaker timing, motor start-up, etc. 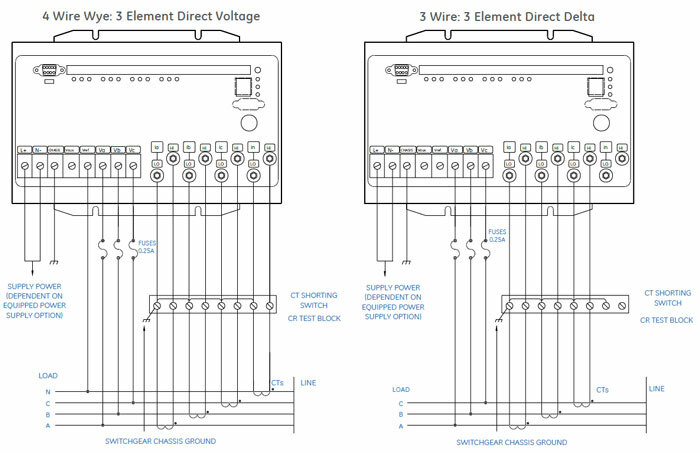 Measure harmonics magnitude up to the 255th order for each voltage and current channel. Real-time harmonics magnitude are resolved to the 128th order. Percent THD and K-factor are also calculated. 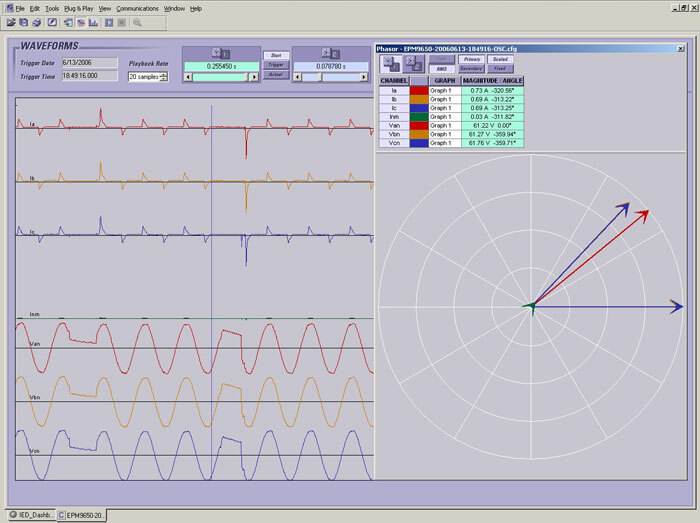 Harmonic magnitude analysis allows users to conduct power quality analysis at the high end of the harmonic spectrum. The EPM 9650 offers four built-in communication ports. Each port can communicate independently using supported protocols. 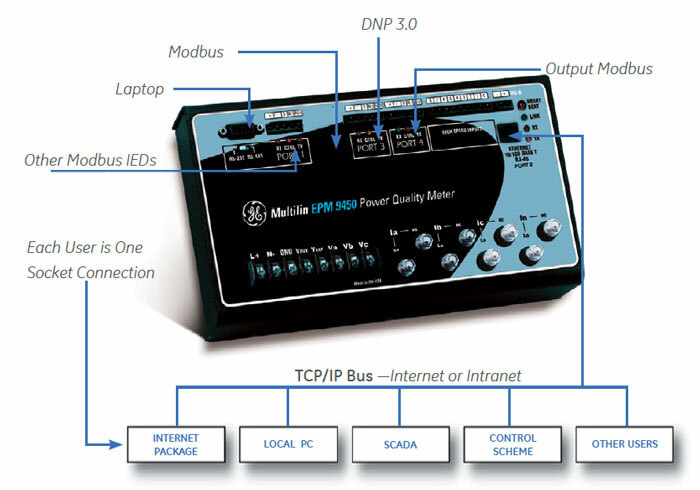 Standard protocols include Modbus RTU/ASCII and DNP 3.0. Logs and waveform events are available in Modbus format. Port 3 and Port 4 can be used as a Modbus slave for external output modules. The EPM 9650 also offers high speed-transducer outputs for control purposes. These outputs offer 50 millisec updates for all instantaneous readings. The unit can be used as a high-speed control transducer for power generation, transmission line synchronization and other control schemes.